Travel with Friends and Family!!! Tired of seeing your children in front of a screen? 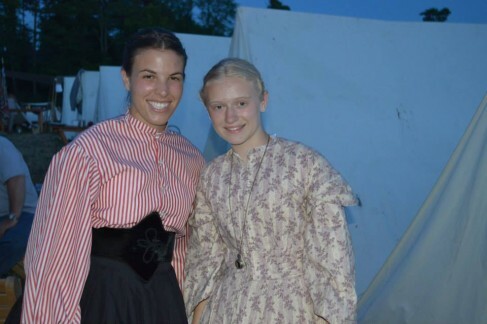 Bring them along with the 21st Georgia to experience good old-fashioned outdoor fun. They won’t be disappointed! 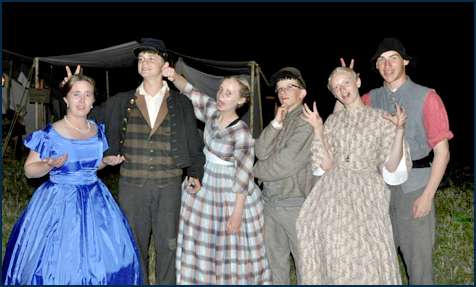 Reenacting gives the entire family a rewarding hobby while offering never ending opportunities to strengthen the family bond!! 21st Georgia members are dedicated to teaching the youth of today about one of the most influential times in our nation’s history. Besides participating in smaller school events and living histories, the 21st hosts over 650 school children at our annual Education Day each June. Both individuals and families alike will find that spending time with the 21st Georgia gives you some of the best friends you’ll ever have and creates memories that will last a life time. Every weekend spent with the 21st Georgia is guaranteed to be filled with friendship, laughter and fun! So come out and give us a try! Come Be Part of Our Family!!! 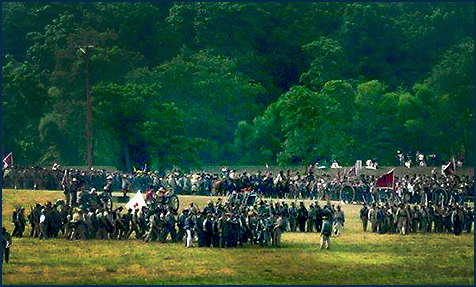 Welcome to the home of the 21st Georgia Volunteer Infantry Civil War Reenactment Unit. 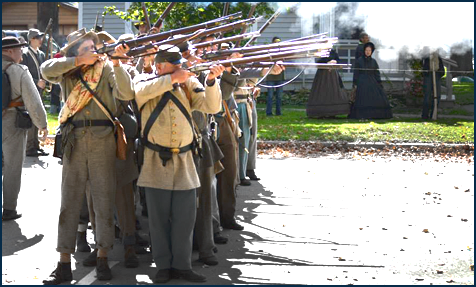 Using period correct costumes and gear, our members strive to preserve history and educate the public about one of the most tumultuous times in our nation’s history. 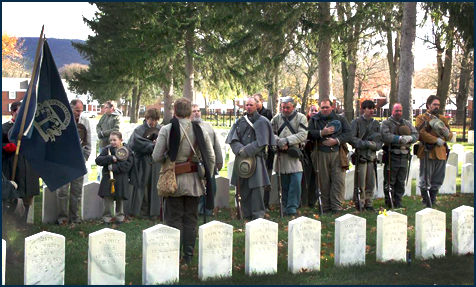 Through participation in living histories, memorial services, parades, school educational events and battle reenactments we hope to ensure that this time is never forgotten. 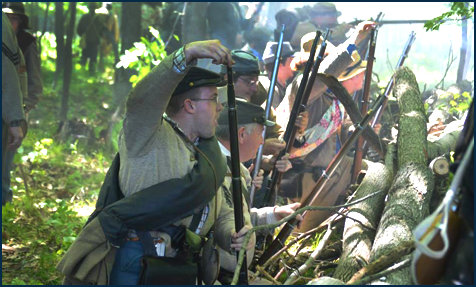 Established in 1986 and based out of Steuben County NY, the 21st Georgia Reenactment Unit is a non-profit, non-political, family oriented unit. Safety, friendship, authenticity and fun are our primary goals. Please enjoy our website and feel free to contact us if you have any questions. 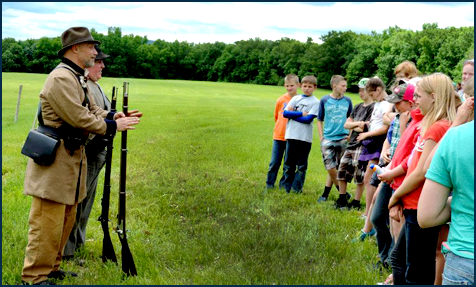 If you have a desire to learn more about the Civil War, think you might enjoy participating in battles, want to teach the public about what it was really like and/or enjoy making new friends around the fire, then please contact us. Our group is always ready to welcome new recruits! Be sure to check out our Facebook page for great pictures from our recent events. 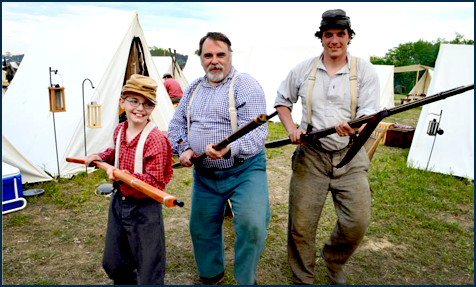 Whether joining the 21st as an individual or coming with the entire family, you will find reenacting a rewarding and incredibly entertaining way to spend your weekends. April 27th - Lain's Mill workbee and School of the Soldier/Civilian. More details to be determined soon.